I studied chemistry as an undergraduate and especially enjoyed the analytical aspect of the field. I’ve always loved working with textiles, so combining the two was a perfect fit for me. My project is funded by the University’s Lord Kelvin Adam Smith Scholarship Scheme, which promotes cross-disciplinary research. It’s given me the opportunity to work in a field I wasn’t really aware existed before. What’s your role at the University of Glasgow? 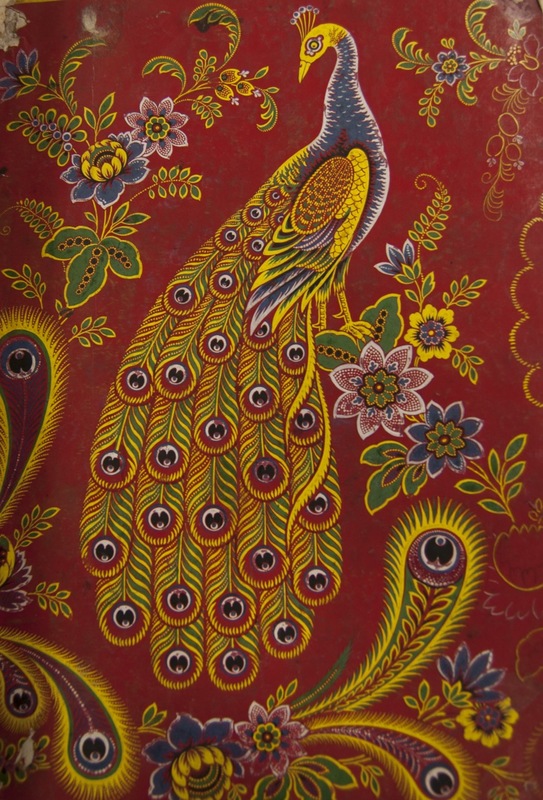 I work mostly in the Centre for Textile Conservation and Technical Art History, which offers a two-year MPhil in Textile Conservation and a one-year MLitt in Technical Art History. 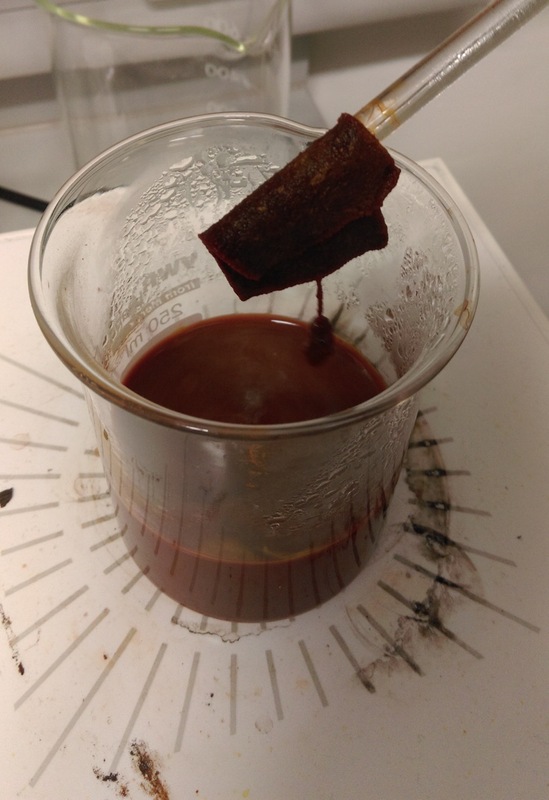 I’m in the third year of a PhD studying the chemistry of Turkey red dyed textiles, so I get to work with the School of Chemistry and the University Archives, too. My supervisor at the Centre, Dr Anita Quye, is an experienced conservation scientist who has worked with regenerated fibres, plastics, and heritage textiles, to name a few. Although I’m not a conservator myself, I enjoy seeing what the conservation students are doing and the tutors are incredibly helpful and supportive of our research. In any given day, I could be reviewing historical literature, designing an experiment, dyeing samples, writing, viewing archival textiles, performing spectroscopic analysis on textiles to learn how they may have been dyed, or reviewing experimental data. It’s amazing how much it varies from day-to-day. I’ve finally started to get good, solid results for my PhD work and it’s really exciting to see two years’ effort come together into something useful and interesting. Research can be frustrating because while one may predict an outcome, it’s not a certainty until the work is done. For me, that work felt like a lot of dead ends and confusion, but when it started to come together the satisfaction more than made up for the frustration! What made that happen for me was rethinking how Turkey red had been studied before, and then approaching it differently. Working with an applications specialist from Agilent, we analysed the textiles with diffuse reflectance infrared spectroscopy (DRIFTS) to study the surface chemistry. The results of this are the ‘whole picture’, whereas the results of an extraction can change depending on how it’s done. If what you’re looking for isn’t in the extract, or gets destroyed during the process, that’s not helpful! 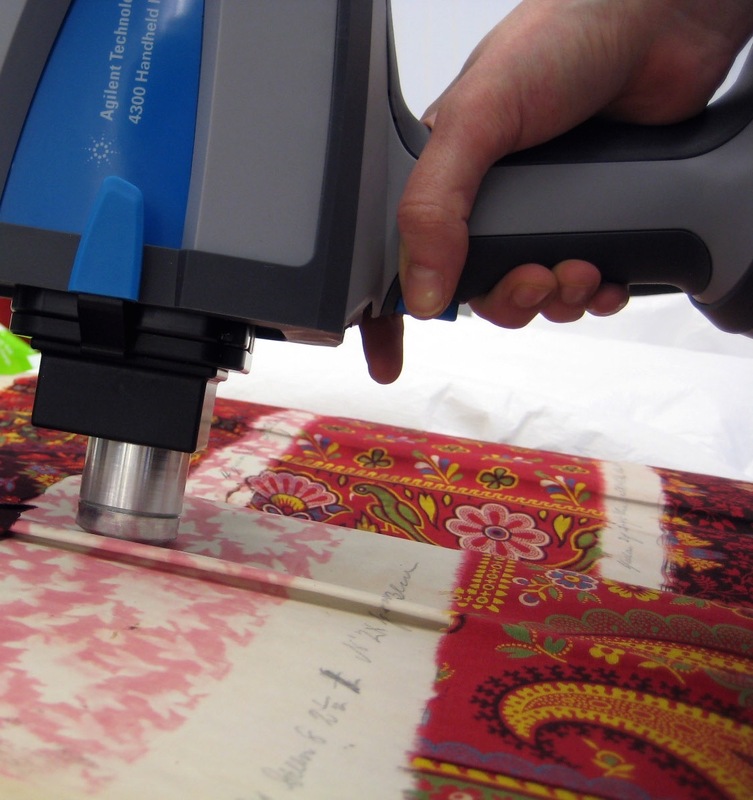 Infrared spectroscopy can’t tell us everything about Turkey red, but it also doesn’t damage the textiles so it’s great to have as an analytical tool. Lately, I’ve been inspired by the people whose legacy I have been studying. Textile dyeing is incredibly nuanced and complicated. With natural dyes, which were all that was available prior to the mid-1850s, the amount of colour varies greatly and the water source must be as pure as possible to avoid unintended results. Turkey red is noteworthy for being especially complicated due to multiple repeated steps, extensive drying between treatments, and prior to industrialisation taking around a month to complete. It originated in India and was adopted in Turkey, hence the name, before coming to Western Europe in the mid-1700s. As a 21st-century chemist having spent years learning about this textile, I am truly impressed that such a durable, fade-resistant dye was developed by people who had fewer resources than we do now but possessed skills and knowledge that we’ve clearly lost today. What do you love most about your job/studies? I love getting to do different things, be it visiting an archive or talking to people about how I use chemistry in the arts. Studying heritage objects is exciting because it’s learning more about an object’s life, or how it was made, and that all comes together as a story. These stories can connect us to places, people, times, lost skills—and at the end of the day, who doesn’t like a good story? Heritage science gives us both information about the history of an item and how we may better preserve it, informing us of its past and creating the possibility for its legacy to continue into the future.